There are all types of “G” networks to help people connect with one another – 4G networks to help people communicate by phone, and before that there was 3G. Most important, however, are the 2Gs: graciousness and gratitude. When you have graciousness and gratitude in your relationships with others, you can help form a lifelong connection with others. 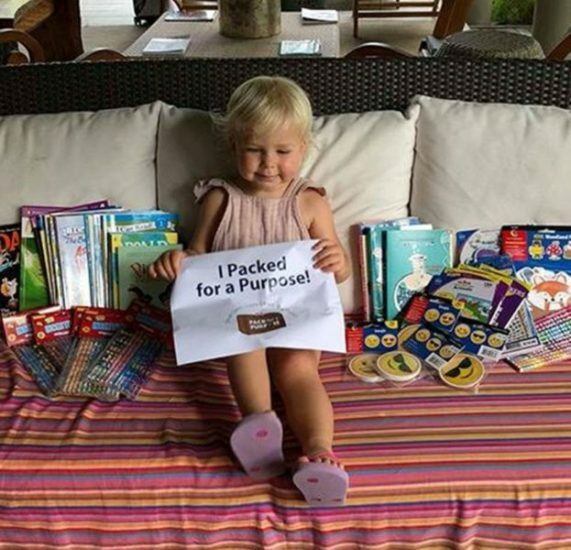 Pack for a Purpose travelers to VOMO Island Fiji have shown that learning the “2Gs” can start at a young age. Young travelers have helped to provide “oceans” of supplies to this accommodation in Oceania. 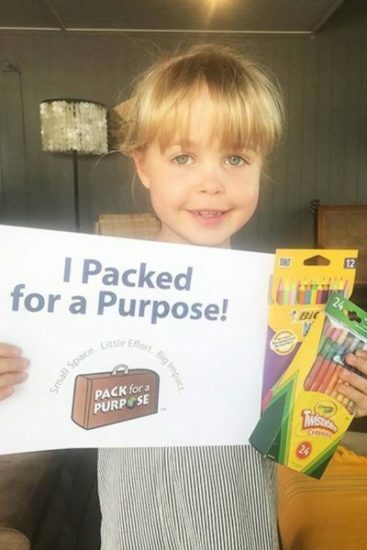 Grace Packed for a Purpose in April, providing school supplies for the children from two isolated villages supported by VOMO Island. In June, Riva packed stacks of books for the children from Yamata and Yalobi Villages. These villages are an hour and a half away from the mainland and have limited modes of transportation, making it difficult to get supplies. When children Pack for a Purpose they learn and model gratitude and graciousness. By taking supplies for school children, they show the depths of their gratitude to a community that welcomed them and their family. As a bonus they are also helping children close to their own age!